Spring Touch Franchise is excited to announce that we will be giving away a $30,000 franchise fee to a deserving Veteran! Throughout our companies history, we have employed many Veterans and have always been inspired by their heart, dedication and extreme drive! As a brand, we are proud to stand by our Veterans and create opportunities for them to be successful in business. That is why we are offering Operation: Start Now - Franchise Giveaway! We believe that Veterans are some of the finest people in this country and if we can help them in their transition to civilian life and provide them with the support and resources to be successful, then we are honored to play a small part in helping support our Veterans. Are you a Veteran who is looking to start your own business? Do you love working outside, having daily variety of work, working with people, and enjoy business? 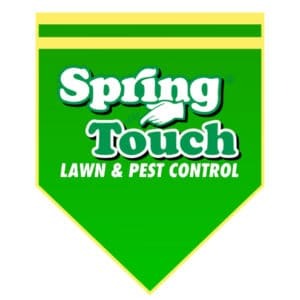 Spring Touch Lawn & Pest Control is a lawn, pest control and irrigation franchise that offers franchises with an impressive twelve revenue opportunities and first year support that will take away some of the major challenges of starting a business. So why do we want to give away a franchise? Because we believe in YOU, our Veterans! We believe that the skills the military has taught you are life skills that will greatly help you be successful in the civilian world. The reason we are giving away a franchise, by paying the franchise fee (a $30,000 value), is because not only do we believe in you, but we feel it is a small token of appreciation to thank you for your service to our great country! It's the least we can do when you have done so much for us! Veterans are a part of our brand from the top down. Not only have Veterans been happy working for our corporate store, but our co-founder, Nathan Newlands, is a Veteran from the Australian Air Force. Before becoming a U.S. citizen, he served as Leading Aircraftsman (L.A.C.) 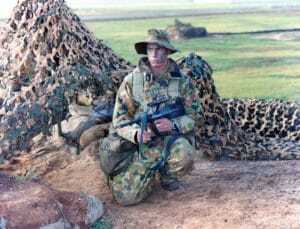 in logistics at the Richmond Base in Sydney, Australia. Nathan loved his time in the Air Force and worked closely with the American military that was stationed on the Richmond base. Nathan knows first hand how the work ethic, traits, and leadership skills he learned in the military translates to business in the civilian world. If you would like to enter to win a franchise, please review the requirements and steps below and enter by completing the entry application below. Each applicant must meet the following requirements in order to be eligible to win Operation: Start Now. Any applications that do not meet the following requirements will be removed from the contest. The winning Veteran acknowledges that as the winner they are responsible for paying the additional financing to start and operate a Spring Touch Franchise. Spring Touch is responsible for paying for the franchise fee only (a $30,000 value). The total cost to start a franchise will range anywhere from $52,700 to $118,800. Financing is available through a third party, if needed. 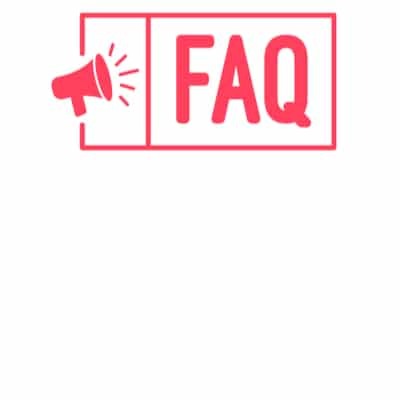 Each franchise agreement has a term of 10 years with an option to renew for an additional 10 years. Please see our Franchise Disclosure Document (FDD) for more detailed information. The following are the criteria that will be used to select the winning Veteran for Operation: Start Now. Each qualified applicant will be reviewed against these requirements and also the standard franchisee requirements. Qualified Applicants must be over 25 years old, have a honorable discharge from the military, must live in Minnesota, Iowa, Wisconsin, North Dakota, South Dakota, Michigan, or Illinois. Qualified applicants must acknowledge that if they are selected as the winner the franchisee fee will be paid by Spring Touch (a $30,000 value) and the rest of the start-up fee's are the winners responsibility. The remaining fee's including purchasing the necessary equipment, trucks, and software to be able to open and operate a Spring Touch. 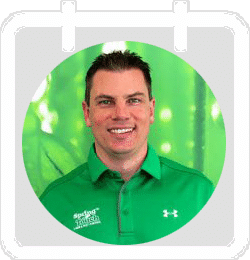 Spring Touch Franchise will be paying for the franchise fee, which includes training, first year of marketing, customer call center support, and professional accounting. Currently, we are only offering franchise's in Minnesota, Iowa, Wisconsin, North Dakota, South Dakota, Michigan, and Illinois. It is required that you live and work in the state of your franchise. What is the investment to start a Spring Touch? If you win Operation: Start Now, the total cost to start a franchise will range anywhere from $52,700 to $118,800. Financing is available through a third party, if needed. Each franchise agreement has a term of 10 years with an option to renew for an additional 10 years. Please see our Franchise Disclosure Document (FDD) for more detailed information. If you don't find an answer to your question, e-mail us at contactus@springtouchfranchise.com.